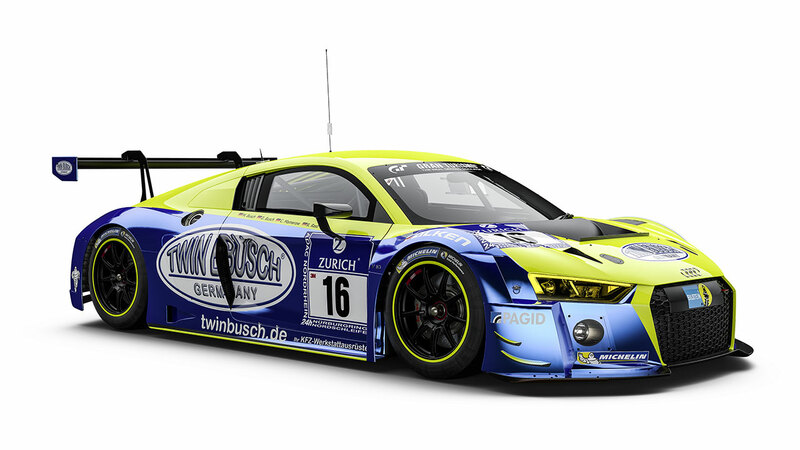 The biggest racing spectacle in Germany has upped the ante once more. For the first time, Audi will be present with nine R8 LMS cars in the field of the Nürburgring 24 Hours (May 28/29). This means that in the race held in the Eifel more customers than ever before are relying on the GT3 sports car with the four rings. Television partner RTL Nitro will be airing coverage of the racing marathon for nearly 26 hours – another first. No race track in the world is longer and no field, arguably, as large as the one at the Nürburgring. This year, 157 entrants will be in the race. “On the Audi Sport customer racing calendar, the Nürburgring has been a highlight since 2009. There’s no other endurance race in which our GT sports car has been equally successful,” says Chris Reinke, Head of Audi Sport customer racing. 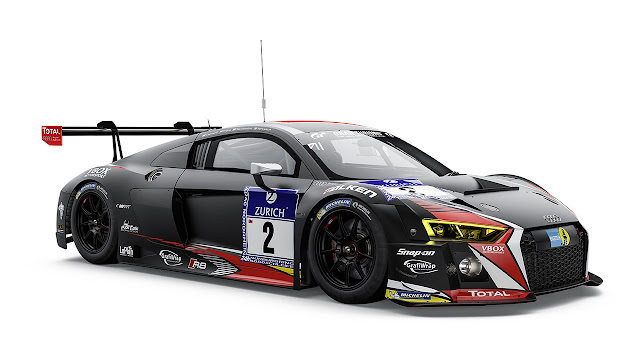 Between 2009 and 2011, the Audi R8 LMS won the GT3 class three times in succession and achieved podium places in the overall classification. 2012 and 2014 saw Audi celebrate overall victory with Phoenix Racing and last year, the Belgian Audi Club Team WRT was victorious for the first time. But it’s not only the teams that have a large number of trophies in their showcases. Twelve drivers who have previously achieved overall victories are on the grid this year with Audi as well. Marc Basseng (D), Christopher Haase (D), Christian Mamerow (D), Christopher Mies (D), Nico Müller (CH), René Rast (D), Edward Sandström (S), Frank Stippler (D), Laurens Vanthoor (B) and Markus Winkelhock (D) have been winners before with Audi at the “Ring.” The two Audi DTM drivers Mike Rockenfeller (D) and Timo Scheider (D) have a track record of success with other teams and are now set on winning in the R8 LMS as well. 34 drivers in total are going to take turns in the cockpits of the Audi teams. The line-up of challengers proves how attractive this event is as well. This year, 37 GT3 race cars from eight manufacturers will be battling for overall victory. “Audi has the largest representation with customers in this fierce competitive environment,” says Chris Reinke. 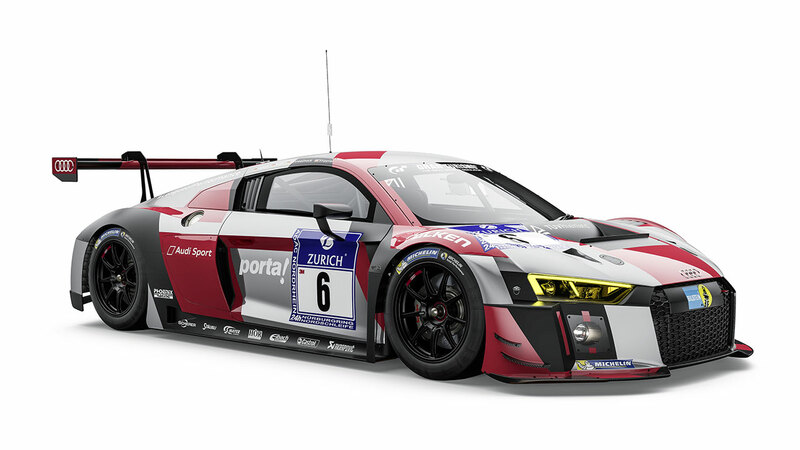 “This kind of trust is not only attributable to our product, but to our trackside customer support, too.” For years, Audi Sport customer racing has been guaranteeing comprehensive pre-race as well as on-site support, plus extensive spare parts supply. The teams from Phoenix and WRT are each fielding an R8 LMS with support from Audi and another one on their own. The Audi race experience will be on the grid for an amazing sixth time – no other manufacturer offers its customers the opportunity to compete as amateur race drivers for the brand. Twin Busch Motorsport is contesting the 24-hour race for the fourth consecutive time with an Audi R8 LMS while Montaplast by Land-Motorsport and Car Collection Motorsport are relying on Audi at the Nürburgring for the first time. Racing fans can watch the battle for Audi’s fourth overall victory live on television. RTL Nitro will be airing continuous coverage from the “Green Hell” from 15:00 (CEST) on Saturday, May 28, to 16:50 on Sunday. From the Grand Prix in Monaco, RTL Television will additionally join in for the starting stage and again for the finish of the 24-hour race.